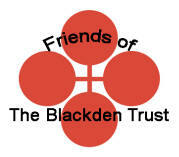 A new event by The Blackden Trust entitled ‘By Seven Firs and Goldenstone – A Walk Between Worlds.’ is to be launched in September 2018. Goldenstone sits at the end of the track that leads from the Alderley Edge car park to Stormy Point. 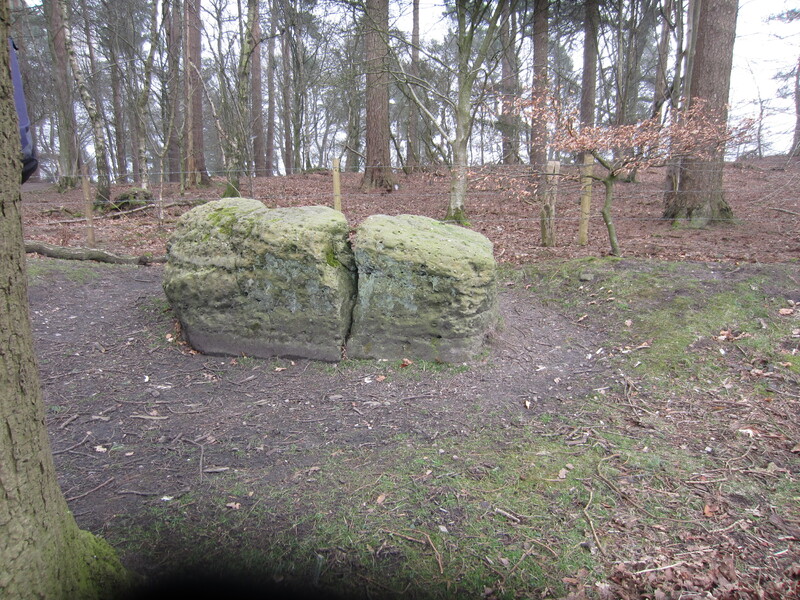 It is a large lump of conglomerate stone that marks the boundary between Nether Alderley and Over Alderley. It has been shaped by humans and was placed deliberately there, possibly in prehistory. It is a greyish colour, rather than golden, and its name is probably derived from ‘Gylden’, meaning ‘tax’ or ‘tribute’, i.e. the ‘tribute stone’, that is, a place that such transactions happened. 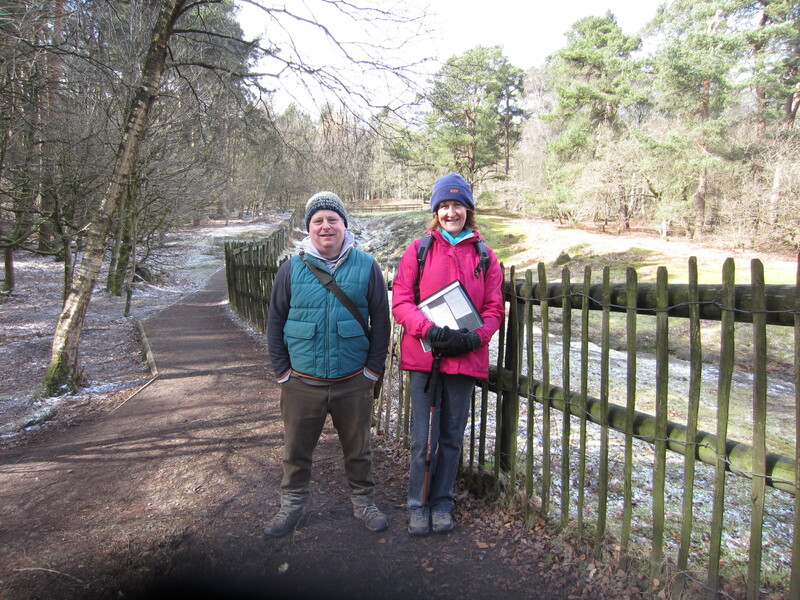 Its significance in the Alderley Edge legend is that it is one of the places that the Wizard leads the farmer to on their journey to the Iron Gates. Alan Garner uses it as a location in both the Weirdstone of Brisingamen and the Moon of Gomrath.